This series, Seeing from the Field, is based on interviews conducted with community development practitioners about the values, goals, and premises underlying their work as well as the contours and directions of their ongoing practice. Conducted by graduate students of urban planning, public health, international affairs, and education programs in the Boston area as part of Dr. Lily Song’s Spring 2018 course, “Community Development: Past, Present, and Future,” at the Harvard Graduate School, the interviews highlight the possibilities and dilemmas of operationalizing theories of change in set institutional, spatial, and cultural contexts that are complex, contentious, and shifting. Ray is a man of many hats, but when I imagine him it is his black beret. I met Ray once, when he hosted our group for a Martin Luther King, Jr. Day of Service project at Brook Park, the community garden he helps lead in the South Bronx. He was wearing the same black beret another time I remember him seeing him around, at a food policy breakfast as President of the New York City Community Garden Coalition (NYCCGC), forcefully advocating for a more community- driven approach in a room full of researchers and public health workers. I imagine Ray’s beret comes with him to the Pratt Institute – Graduate School of Architecture, where he is a Visiting Instructor in the Graduate Center for Planning and the Environment (GCPE). While I had a heard a little already in these chance encounters, I was intrigued by Ray’s holistic approach to planning and how he connects his passions for food, youth, and community development. I connected with Ray over the phone for about an hour so that I could ask him about his approach. The responses that follow have been edited and condensed. 1) Where are you from? How did you end up in the work that you are in now? I’m from NYC, specifically East Harlem, otherwise known as Spanish Harlem, or El Barrio. It’s demographically similar to and located geographically across the bridge from the Mott Haven community where I am actively working a Youth Alternatives-to-Incarceration, Workforce, and Entrepreneurial initiative at the Youth Community Farm at Brook Park in the South Bronx. My formal background is in education policy: not so much looking to be an educator but to glean insights into what informs wholesome and robust human development for individuals in their formative years. That led to me to studying how pedagogy and curriculum and resources are shaped by a macro context of expectations for communities. There are disparities around education and social outcomes, and I wanted to glean insights into what is shaping these outcomes. That led me to alternative modalities for education, specifically, to experiential learning modalities: engaging in hands-on activities as a vehicle for learning and for promoting human growth and development – hence, my engagement in urban agriculture, generally, and in community gardens and community farming specifically. 2) How did you make that transition? Were you working with schools? Initially, I worked as an education consultant to after school programs, and, in the course of these activities, I wound up attending an agricultural conference that featured a workshop session on urban agriculture. I was immediately taken by the opportunity that it represented from not only a community food-based perspective but from a youth engagement perspective. It was an opportunity to engage in community development through engaging in youth development activities via urban agriculture. That was a good 20 years ago. 3) How do you describe the work you’re doing now? It’s an interplay of embracing my philosophies as well as looking at the salient issues confronting the young people of the South Bronx – in particular, the issues associated with the school-to-prison pipeline. Young people of color are being alienated from education. As a result of “zero tolerance” public school discipline policies in New York City that, in turn, result in disproportionately punitive – separation from education – school suspensions, these young people are dropping out or otherwise being pushed out from school. This institutional alienation notwithstanding, these young human beings persist – from a developmental perspective -in looking for alternatives that affirm their sense of personal agency and personal power by becoming members of street families; joining street organizations – more often pejoratively referred to as street gangs. That, in turn, leads to high-risk behaviors that make them increasingly vulnerable for coming into contact with the criminal justice system. At Brook Park, we have a Youth Alternatives-to-Incarceration (YATI) program where we work with young people who either have been court adjudicated or are currently adjudicated, or who are formerly incarcerated. The Youth Community Farm lends itself to working with these young people in a developmentally responsive manner. By engaging in the activity of growing, cultivating, and harvesting food and bringing it over to local community food pantries, the youth are also engaging in fulfilling their own needs in the process for wholesome human growth and development. 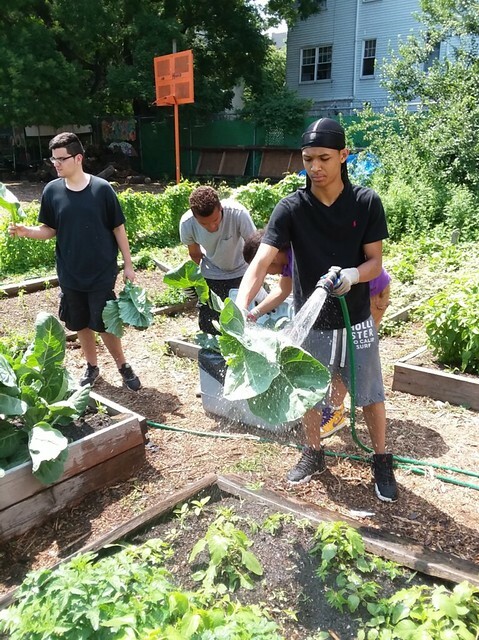 Some of these same youth who come through our YATI program are invited to be a part of the Pepper-growing Collective of community farms in the South Bronx – growing and selling peppers to a hot sauce company – BRONX HOT SAUCE. Both of these dimensions of engagement allow for young people to experience a more reassuring sense of their self- esteem – being “fed” by activities that are not only socially responsible but also personally beneficial and rewarding. More often than not, these young people are also being fed, because they are hungry – literally. They’re food insecure, and they need money in order to eat. So, for them – instead of having to resort to desperate means such as selling drugs in order to earn money to buy some food, they now have an opportunity to earn money by selling peppers to the hot sauce company and staying free and out of prison. To be sure, our YATI program is as much an Alternatives-to-Desperation program as much as it is an Alternatives-to-Incarceration. 4) It seems empowering to have these peppers served everywhere from the South Bronx to the Union Square Greenmarket. Does that show the young people you’re working with that this is something they should value for themselves? It is implicit and explicit that work has value. To be remunerated for it helps to underscore that value. It doesn’t take a whole lot for a young person to arrive at a place within themselves wherein they are open and receptive to embracing an alternative for their lives, another way of being productive and powerful. That’s what community farming means for our young people – it nurtures their capacity for growing increasingly resilient in the face of personal adversities. Accruing to the continuity of their engagement over time in the Youth Community Farm, the young people have additionally been involved in building school gardens in Mott Haven and in engaging in agricultural skill-sharing with elementary school children – showing the children how to plant, how to prepare the soil for planting, and how to care for the fruit and vegetable plants. This set of inter-generational, agricultural mentoring activities on the part of our YATI youth with the elementary school children who actually look up to them represents a powerful vehicle for validating the sense of personal efficacy for all involved – the elementary school children and the YATI youth alike. 5) Other than being from El Barrio, what events or experiences have informed your decision to get into this kind of work? It’s really just observing what’s going on in our community and having an overall sense of social sensitivity and social responsibility. I thank my primary educator, my mother, for that. In El Barrio and in the South Bronx, I observed that things were not as they should be. There were far too many disparities informing abysmal outcomes in our community, not the least of which is the massive unemployment and poverty, which informs food insecurity in particular and the criminalization of youth by extension. 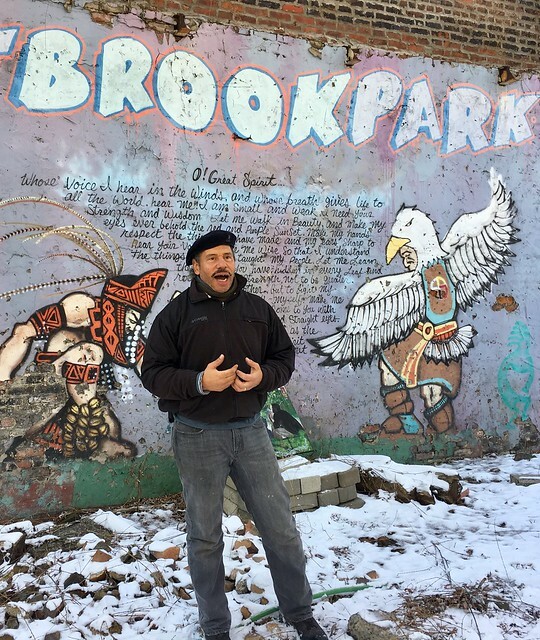 6) You’ve done this work with Brook Park for a long time, but you’re also the president of the New York City Community Garden Coalition and teaching at the Pratt Institute Graduate Center for Planning and the Environment. How do you balance these whole body consuming experiences? It is whole body and whole soul and it keeps me extremely busy, but I look at it as multidimensional engagement; it’s all part of the same work. With the garden coalition, I’m trying to replicate the community development vehicles we see in Brook Park and other community farms and community gardens around the city. I’m currently working to formally realize, from a public policy perspective, regulatory protections for these types of community-cultivated institutions so that, going forward, there is a continuity that can promote community development. Community development is not incidental. It requires the continuity of institution building over the long haul. Pratt affords me the opportunity to go deeply into issues and the great privilege of working with the future professionals coming into urban planning. Pratt GCPE is about the future: about how to promote sustainable community development from the very practical considerations of urban planning. In order for that to come to fruition, we have to look at planning as a field that promotes innovative approaches to public service that can help to dismantle structural inequalities around race and class. Look to Dudley Street Neighborhood Initiative as an example of best practices in this regard. 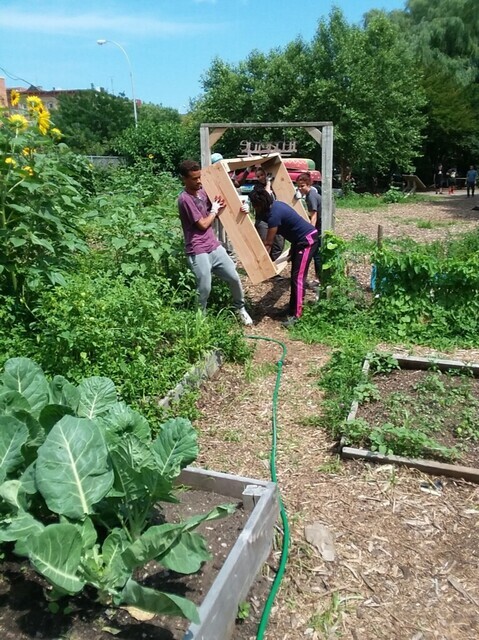 We, through the New York City Community Garden Coalition (NYCCGC), are working on the establishment of a comparable community land trust initiative. It involves a formal collaboration between a local South Bronx based community development corporation, Nos Quedamos, and NYCCGC. We came together on a project that is now being sponsored by the New York City Department of Housing, Preservation, and Development (HPD). We submitted a formal response to HPD’s Request For Expressions of Interest—essentially concept papers— on how community land trusts (CLT’s) can be effectively planned for and developed. We asserted that CLT’s can be developed in a way that is sustainable—that includes, as examples: Green Infrastructure, Micro-Grids, hyper local Micro-Food Hubs—as well as affordable housing. We’re now in a concerted collaboration with other groups that were shortlisted by NYC-HPD on the development of community land trusts in the South Bronx and around the city. The over-arching question that we’re addressing is: “How can planning and development be rooted in local communities in such a way that we have active community engagement and stewardship over the long haul?” In this regard, we recognize that community gardens are not mere landscaping amenities, but that they are integral to a local community’s cultivation of viscerally meaningful relationships to the land that are culturally indigenous to the local community and which, further, serve as catalysts for focusing community engagement and long term community stewardship for truly sustainable development – economically as well as environmentally. Community gardens have always been a grassroots-driven, informal form of community-based institution building in heretofore abandoned and historically marginalized neighborhoods. They are community-cultivated green spaces where folks have come together as a collective and came to consensus about what they would like to see out of these previously abandoned spaces. Folks in these communities were really resisting what would otherwise be the manifestations of the trappings of poverty, unemployment, and abandonment. Through community gardens, local folks have been embracing community self-determination in the humblest of ways (without the fanfare of press conferences and “photo-opts”) – being productive in such a way that honors their sense of human dignity. Community gardens have served, and continue to serve, as a very efficacious foundation for engaging in the next level of community development in relation to community land trusts. 7) You’re getting into this already, but I’m curious about your theory of change. What change is your work designed to create? How are you creating the change that you want to see? I look to the work with and through and by community gardens. Again, these are community-cultivated spaces that allow people to respond to their aspirations and priorities as a collective and to delineate their productivity in a way that is self-determining and that honors their sense of human dignity. In so doing, community gardens help lay the foundation for civic engagement, leadership development, and continued community development initiatives that are genuinely sustainable. Community residents involved in community gardens come out to vote. They hone their sense of leadership by virtue of the initiatives that they take in and through their community garden. community gardens address some of the worst vestiges of poverty. Poverty is not just economic, but it’s also a poverty of inactivity, of being idle. Community gardens really do get at this in a way that is both liberating folks and motivating them to be engaged in individual and community revitalization efforts. With the Collective of Pepper Growers in the South Bronx, we’ve demonstrated already the economy of (production) scale that can be realized as a result of community gardens and community farms coming together in aggregating a harvest of peppers that supports BRONX HOT SAUCE, which, in turn, is being sold in upscale retail outlets as well as right here in the South Bronx at local Farmers’ Markets throughout the South Bronx. The young people who are in the Pepper-growing Collective are not only earning and saving money for themselves but they’re helping to save the city and state money vis-à-vis incarceration costs. To realize such savings and to generate income that is circulates locally is a pretty robust model for community-based economic development. Additionally, from an Ecosystem Services perspective, the permeable surfaces along with the rooted plants and trees in community gardens—help to mitigate storm water runoff. NYCCGC is currently implementing a major storm water runoff mitigation – Green Infrastructure – project in the Lower East Side of Manhattan. 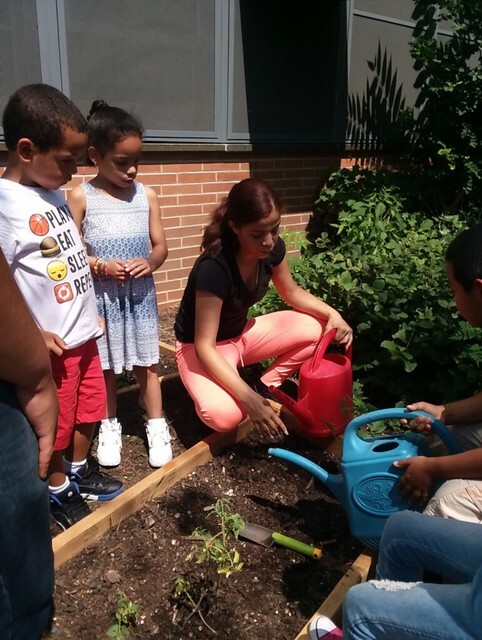 Close to 50 community gardens in that neighborhood have – through a local community garden coalition, Loisaida United Neighborhood Gardens (LUNGS), and NYCCGC – jointly received a $2 million grant from the New York State Governor’s Office of Storm Recovery. That may sound like a lot of money, but it’s literally a “drop in the bucket” when it comes to storm water runoff mitigation – for to build conventional “Brick & Mortar” (Grey Infrastructure) sewage treatment facilities to handle comparable storm water overflows as a result of extreme weather from climate change would be cost-prohibitive. Ecosystem Services such as those found in the Green Infrastructure of community gardens represent another cost savings opportunity for local municipalities. 8) You talked a bit about the successes, but what are the challenges and struggles that you are facing right now? If these challenges were to be alleviated, what possibilities would that open up for the rest of your work? Community gardens are still grossly undervalued in New York City from a Land Use policy perspective. As such, they continue to be vulnerable to destruction. When one destroys a community garden, one is, by default, already acting violently to destroy a community. In El Barrio, a low-income and primarily Latino and African descendent community, there are, at present, 7 community gardens that are threatened by real estate development that is being driven by the mayor’s “Re-zoning for Affordable Housing” policy initiative. The vast majority of community gardens in New York City are found in its lowest income communities whose scars from the structural trauma of racist Redlining, Exclusionary Zoning, Benign Neglect, Planned Shrinkage, etc., continue to fester to this day. Yet, it is the community gardens that rose up – in these very same communities – that have served as a collective form of grassroots resistance, reclamation, healing and rebuilding. The Re-zoning that is currently taking place in these communities is the contemporary analog of Urban Renewal – implicitly equating, in this case, the re-zoned community of El Barrio’s community gardens with “blight” in as much as these community gardens are also located in the historically designated Urban Renewal areas that were “cleared” 40+ years ago but were never developed upon except by the “blood, sweat, and tears” of local community residents who reclaimed the rubble-strewn abandoned parcels of land as community-cultivated spaces. This community and its community gardens are now facing imminent destruction. If, however, the City of New York were to somehow reverse course and preserve these community gardens, then the residents of El Barrio could pick up where they left off and continue their work of community regeneration and revitalization. 9) Looking into the future, where do you see yourself and/or your work headed? We have a burgeoning movement of local community residents around the country embracing community land trusts. That along with the rising appreciation for a democratic culture of Cooperative Economics bode well for ongoing Sustainability and Resiliency efforts. I’m excited about all of the advocacy and community organizing and the research that is now going forward and that is complementing local community efforts – so that we can have communities that are rightfully and respectfully developed. 10) Is there anything else you would like to share? Do you have any final words of wisdom for professionals working in community development after their graduate education in planning? Revisit the history of planning assumptions that are currently informing urban planning practice and Public Policy- making when it comes to the valuation/under-valuation of communities which, in turn, has helped to rationalize economically reductionist “justifications” for the type real estate development that has come too often at the expense of under-investment in local communities such as the South Bronx and similarly situated communities around the country. I see a need – for professionals working in community development after their graduate education in planning – to contextualize their planning practice in the history of planning’s impact on municipalities, in general, and on marginalized communities, in particular. That way, all concerned can better grasp the structural violence of social inequality and be better positioned to embrace Community Inclusion within planning and Social Justice that can lead to a very practical “win-win” for local community development as well as development at the broader municipal scale. To be sure, this is a very high bar – so it is incumbent upon us all to KEEP OUR EYES ON THE PRIZE. In this regard, I draw inspiration from community gardens, community land trusts and cooperative economics as examples of best practices – as alternative structural innovations from the margins!